With only a few steps, you will finish a good-looking use case diagram with Edraw. 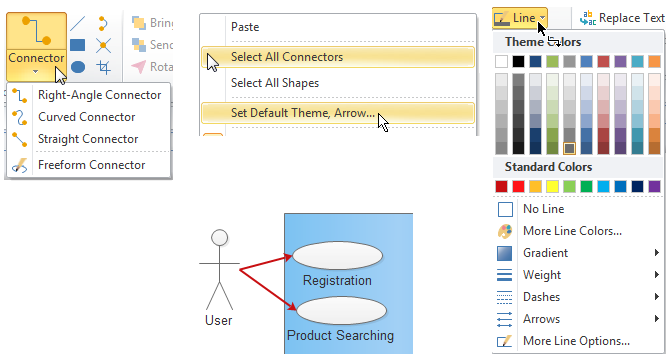 Explore the simplicity and convenience of making user case diagrams from this article. Use case diagram allows you to model system functions, and present how actors interact with those functions. 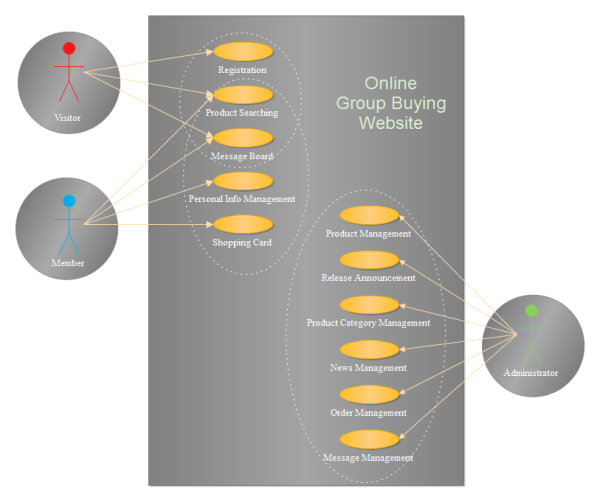 In this page, you will learn how to draw an excellent user case diagram with pre-made shapes and smart connecting. 1. Start Edraw, on the File menu, point to New. 2. 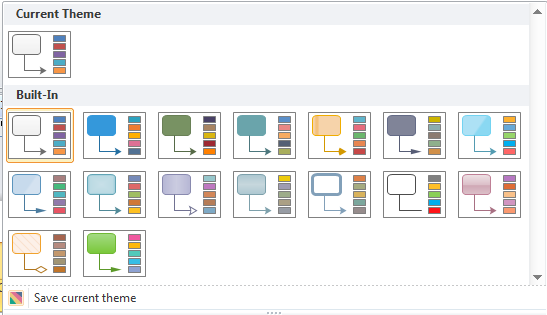 Click Software from the Template Category, and then double click Jacobson Use Case icon to start a new page. 3. 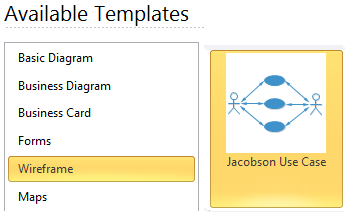 On the left, a library for Jacobson Use Case Diagram is open. All the commonly used symbols are included. 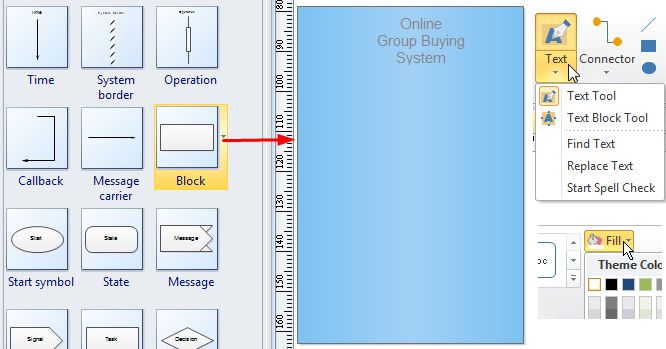 From the built-in Use Case Library, drag a block shape on the page to represent the system. Resize the block by dragging the control handles. You can fill it will a color, and name the system using Text tool. From the library, drag a built-in actor symbol, and drop on a suitable position of the canvas. 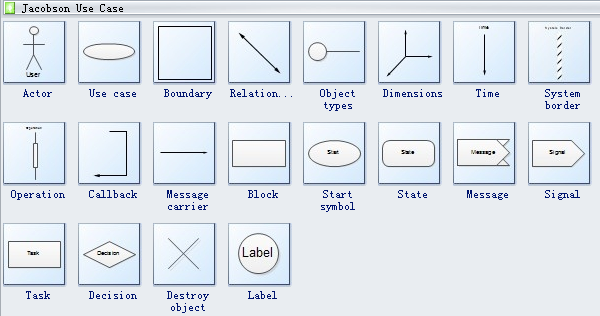 From the library, drag a built-in use case symbol, and drop in the system block. To resize the use case shape, select it and drag the control handles. Double click on the shape to add text. Under the Page Layout tab, a group of nice themes with advanced colors and effects is available for you to choose. Download a free trial and see first-hand how quickly and easily you can create great-looking use case diagram.